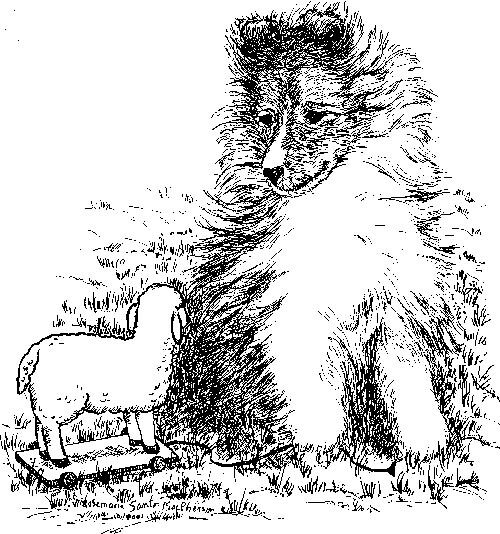 Illustration of a Sheltie puppy with a little toy lamb. Pen & ink note cards measure 6-3/8" x 4-5/8", blank inside for your own personal message. White envelopes included. A perfect way to stay in touch with family and friends. Our note cards make thoughtful gifts too.